Happy New Year! No, I’m not on a time lapse, or having some kind of deja vu, it is the start of the Chinese New Year today! As you may already know, the Chinese calendar attributes different animals to different years, and depending on the year you were born, you are a different animal – I am a Dog! If you don’t know what animal you are, you can check it out here! The Dragon has supernatural powers and is a deliverer of good fortune and intense power; according to the Sung dynasty, he has a head of an ox, body of a serpent covered with fish scales, and feet of a phoenix. He gives happiness and success, watches over good, honest people and the family, cultivating smart and healthy children. Which I guess makes it a very good year for me to be doing a paediatric acupuncture diploma! If you have children, ensure holistic health (body, mind and emotions) features big this year; and if you don’t have children, but are intending to start a family, this year is the one for you! It is a time for boldness, big ideas and new projects on a work and social level, as the Yang part of Water of this “Water Dragon” year, is more like an ocean or a rushing stream, opposed to a stagnant pond. It is powerful, dynamic and has strong energy. So think outside the box, push the boundaries of your comfort zone, and try something new – this year, nothing is off the table, you can achieve whatever you put your mind to – after all, you have the power of Water behind you, pushing you forward! It brings all the qualities we know and love about the Water Element in Chinese medicine – bringing wisdom and perception, re-evaluting situations, researching when necessary, assessing levels of risk – making plans even more successful, as the pitfalls have already been thought of and accommodated for. So if you’re embarking on a new project this year, ensure you do all the research, and it’s likely to be a success. Or why not use your wisdom and passion inspire others – organise a talk or seminar, invite the girls round to talk about your favourite books, make a video on what you know about and post it on you tube! Spread the word and lead the way, as the Dragon would! The parts of the body Water relates to include the kidney, immune system, sexual organs and the urinary system; so ensure you keep an eye out for kidney problems, kidney stones, inflammation of urinary tract, and general virus or bacterial infection. Drink enough water to keep your body hydrated, to reduce vulnerability to these issues; and acupuncture can help keep your immune system topped up. The Dragon is said to be a karmic animal, bringing the positive, loving energies we have given to others, back to us! (You have been giving out positive, loving energies, right?! If not, make this something you do this year – give big and you’ll get tons back). This year is set to have love and success at the top of its agenda, and who wouldn’t want that?! 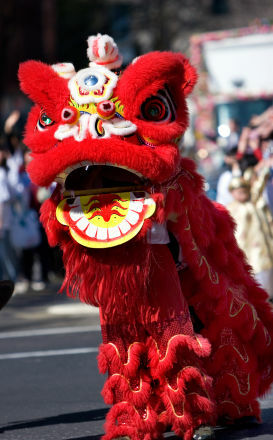 New love can blossom, and as the Dragon is associated with festivals and celebrations, 2012 is THE year for engagements and weddings! And its not just small successes, Dragons bring those BIG dreams to life! So take the opportunity to start with your new year’s resolutions all over again, grab hold of the Dragon’s optimism and positivity, get rid of those January blues, and embrace a new start, for a second time! This entry was posted in Chinese Medicine and tagged 2012, acupuncture, Chinese Medicine, Chinese New Year, Dragon, Five Elements, holistic health, New Year, Water Element, Yang by Rhiannon Griffiths | Acupuncture. Bookmark the permalink.